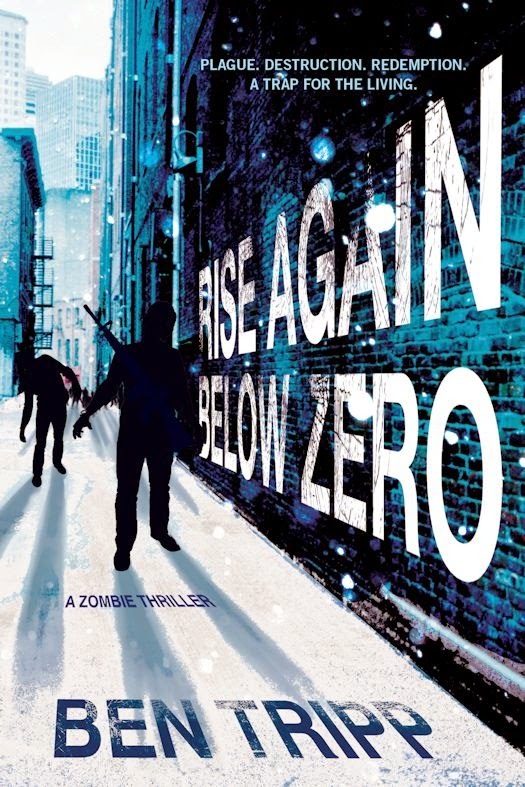 The sequel to Rise Again, from an author who “balances kinetically choreographed scenes of zombie carnage with studies of well-drawn characters and enough political intrigue to give his tale more gravity and grounding than most zombie gorefests” (Publishers Weekly). Billions died and rose again, hungry for human flesh. When the nightmare reached Sheriff Danielle Adelman’s small mountain community of Forest Peak, California, it was too late for warnings . . . forcing her to lead a small group of survivors out of hell, all the while seeking her estranged runaway sister at any cost. Two years later, the undead have evolved. Now, besides the shambling, mindless cannibals are the hunters—cunning and fast, like wolves—and the thinkers, whose shocking intel­ligence and single-minded predatory obsession may mean the downfall of what’s left of humanity. As Danny leads a ragtag band of the living through the remnants of the American Midwest, rumors arise of a safe place somewhere east. But the closer they get to it, the more certain Danny becomes that something evil waits for them at the end of the line. With an unspeakable secret riding beside her and an unbreakable promise made to a small, silent boy, Danny must stake everything she has—her leadership, her sanity, and her life— in order to defeat the ultimate horror in a terrifying and dying world. I was initially surprised to see the prologue to Rise Again Below Zero written in a semi-literate, phonetic manner, but knowing that it was a post-apocalyptic story, I should not have been. I am always impressed when someone tries to imitate how the written word might evolve over time, and as the novel progressed, I felt that this was rather true to the story and the character involved. However, after about the first 15 pages, I realized that this was a sequel and was initially disappointed before becoming so immersed in the story that I could not put it down – I read long into the early morning hours. I actually lost sleep over this book! The Walking Dead television series has made zombies popular again, although for those of us who read fantasy, they really have never gone out of style. Ben Tripp has reinvented the zombie story, at least in this sequel. His zombies are actually evolving – some of them are physically changing in appearance as well as others becoming more human in their thinking as time progresses after the “end of the world.” He has developed “zombie hunters” – zombies that work together in packs to bring down their prey – and “zombie thinkers” – zombies who use their complex thinking to further their feeding efforts. These zombies are even more dangerous than the typical zombies – who are pretty dangerous in their own right. Tripp continues Sheriff Danielle Adelman’s story in this sequel. Apparently, when the world ended in the first novel, Danny had led a small group of survivors out of a Californian city while seeking her sister. This story starts after Danny has found that sister, Kelley. Danny is still leading the group, now known as the Tribe, foraging off the remains of the land and moving steadily east, where there are rumors of a safe place. Life for the Tribe is difficult, but not as difficult as going alone might be. Unfortunately Kelley has secrets of her own that may endanger the Tribe, and Danny is walking a tightrope, trying to do right by her sister and still lead the group. Danny’s motorcycle scouts find a young mute boy and his dog alone in the midst of the wilderness. No one knows how he has survived alone at such a young age, and Danny takes him under her wing, promising to keep him safe. Unfortunately, circumstances occur which could make her break that promise, and she is absolutely unwilling to do so. The story centers on whether she can protect Kelley, the Tribe, and the boy in a world which is dissolving further every day. I enjoyed the focus on Danny and her relationships with those for whom she cares. She is a strong individual who has been put into an untenable situation, yet she continues to struggle and remain human when everything around her is breaking. The zombie hunters and thinkers add a complexity to this thriller – if these monsters actually begin to think and work together, would humanity even have a chance? How does one retain their humanity when humanity itself is destroyed? These are some of the questions that Tripp attempts to answer in his novel, but the action is absolutely non-stop and the philosophy is more of an afterthought. Now that I have read this one, I have to go out and get Tripp’s first book, Rise Again. I will expect to lose some sleep when I pick it up, because I could not put down Rise Again Below Zero. It is probably one of the best thrillers I have read this whole year.